As part of our celebration of the RealTime Archive, we thought you might like to hear the actual voices of our contributors, so we’ve invited them to record readings of reviews of favourite works. Given the tyranny of distance and the ubiquity of recording technology the writers have made their own recordings and sent them through — a little like calling in from the front — offering extra real-ness to the RealTime experience. You’ll find these and recordings to come in Writers read RealTime in the RealTime Audio section of our online archive. Our thanks to Gail Priest for initiating and managing this project and providing the title music. 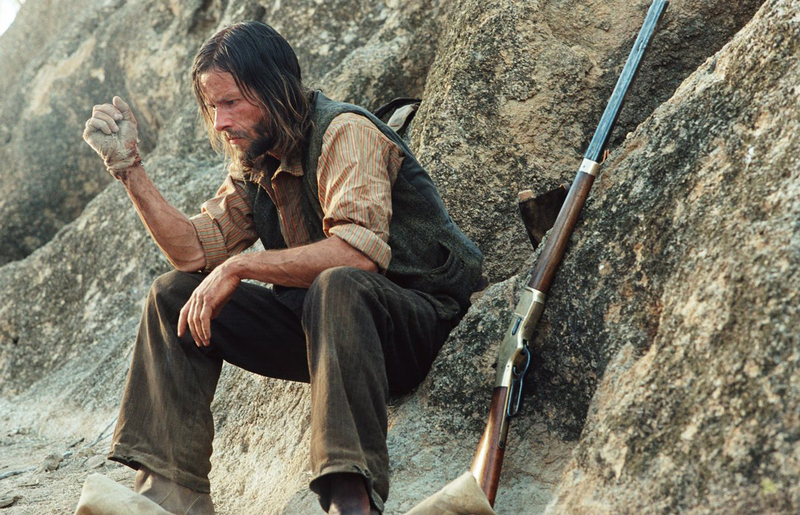 Dan’s eloquent reading captures the vividness and thematic cogency of his review of director John Hillcoat and writer Nick Cave’s feature film The Proposition (2005), a seeming Western that tests white Australian myths. Embracing the work’s disturbing structure, Jonathan applauds writer and co-director Richard Murphet’s The Inhabited Man as a “dense, beautiful yet traumatising dramaturgical essay” about the psychological damage imposed by war. In her first review for RealTime, in 2002, Gail alertly captures the dynamic intricacies, the sounds and sense of immediacy that is a Machine for Making Sense performance. Chris appreciatively describes an intimate live art walking event that takes him along a suburban Adelaide creek, revealing subtly installed artworks, distinctive flora and recollections of Aboriginal heritage.